Arboriculture is the practice of trimming trees and shrubs to protect roadways, power lines, and sidewalks. It involves the use of specialized climbing and rigging techniques, as well as power equipment. An arborist maintains trees and shrubs through trimming and pruning, to ensure they don't interfere with public works like power lines, roads, or sidewalks. 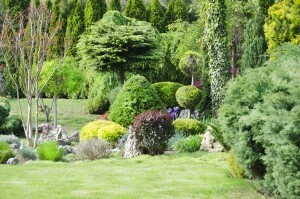 An arborist's services may also be used to improve the appearance, health, or value of trees. Arborists may work under job titles like tree trimmer, tree climber, ground worker, or line clearance foreman. Arborists cut away dead or renegade branches from trees and bushes that pose a risk to utility lines, roads, and sidewalks. Some also focus on improving the appearance and health of trees and plants, and some specialize in dealing with tree diseases. Others focus on beautification of decorative species, shaping ornamental trees and shrubs. Arborists use and maintain a variety of equipment on a daily basis, including trucks, tractors, chippers, power saws, sprayers, and other tools. They hoist the equipment up to where it's needed, then cut away low-hanging, dead, or obstructive tree limbs. They then dispose of the cuttings by lowering them down with ropes or block and tackle, feeding them into chippers and hauling them away. They often need to climb trees with ladders or other equipment to reach work areas. Arborists also fertilize and spray trees. Arborists help keep things running smoothly in our cities and towns. Without them, our roads, sidewalks, and power lines would become dangerous. They also help improve tree health. Planting and caring for trees can help absorb carbon dioxide, a greenhouse gas that contributes to climate change, from the atmosphere. Trees stabilize slopes, prevent erosion, and help absorb stormwater runoff. They can even help counteract the “heat island effect” of urban areas, and help keep things a bit cooler in the summer. Where Does an Arborist Work? Arborists work for municipalities, power companies, arborist firms, and large companies that do contract work for municipal governments and power companies. After gaining experience, some start their own landscaping businesses. Arborists work all across the United States, with more opportunities in warmer climates that have longer growing seasons and shorter winters. They spend most of their time working outdoors in all kinds of weather. 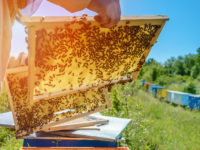 Since they're in direct physical contact with trees (and the insects that live in them), they may frequently experience minor burns, cuts, bites, or stings. 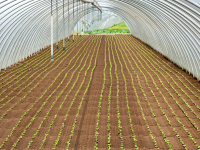 They're also exposed to contaminants such as pesticides and fertilizers on a regular basis. Other risks include working near power lines on truck-mounted lifts, and working with hazardous equipment like power saws. Power tools also create a significant amount of noise. Wearing appropriate protective gear like hard hats, goggles, and earplugs is extremely important for arborists. The work can also be physically demanding. Many jobs in this field are seasonal, with most work occurring during the warmer months of spring, summer, and fall. What Is the Average Arborist Salary? According to the U.S. Bureau of Labor Statistics (BLS), tree trimmers and pruners earned an average salary of $32,590 annual in 2013. Those who work their way up to supervisory positions will earn higher salaries. Use the search box below to find all the arboriculture job listings in our job board. Haul stumps and limbs, chip brush. Control nutrient and water supply and consumption. What Is the Job Demand for Arborists? The U.S. government predicts that employment of tree trimmers and pruners will grow at a rate of 18%, which is faster than the average for all occupations. Our future "smart cities" are slated to include more green space, and many cities and towns are already planting more trees. This trend will open up opportunities for arborists, particularly in warmer areas that need landscaping year-round. What Arborist Careers Are Available? Because the job is physically demanding, many arborists work as climbers for five to ten years, then move into other positions. Workers who are good communicators may become crew leaders, or supervisors. However, advancing to managerial or landscape contracting positions may require some formal education and significant work experience. Some experienced workers go on to own landscaping companies. How Do I Get an Arborist Degree? While most jobs in this area don't have formal education requirements, some employers may require formal education or certification in landscape design, horticulture, or arboriculture. There's usually some initial on-the-job training, particularly relating to working with the equipment. Some larger employers may also add coursework in arboriculture and equipment repair. In most states, workers who use pesticides must be licensed. 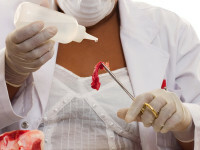 The process usually involves passing a test on their proper use and disposal. There are also multiple certification options within the industry. The Tree Care Industry Association offers a Certified Tree Care Safety Professional (CTSP) program for tree care safety professionals. The International Society of Arboriculture also offers six certifications for workers at various experience levels. These optional certifications can increase a worker's opportunities for advancement within the field. Certification involves passing an exam. Either pursuing professional development or retaking the exam is required to maintain certification. What Kind of Societies and Professional Organizations Do Arborists Have? The International Society of Arboriculture promotes the practice and development of arboriculture through research, technology, and education. It also promotes the benefits of trees to society. It offers online professional development courses, as well as a professional certification program. The Tree Care Industry Association offers an extensive “Tree Care Academy” of professional education options. It also runs the Certified Tree Care Safety Professional (CTSP) program for tree care safety professionals, and accredits tree care companies for safety & adherence to industry standards. 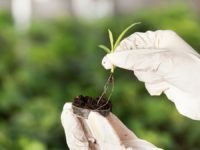 What Is a Plant Biologist? What Is a Water Quality Specialist?